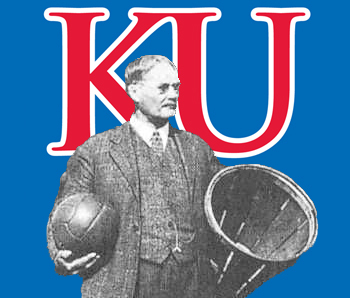 Now that the basketball season is over, I’ve put together a KU Buckets Go Fund Me campaign for this coming year. This campaign covers only costs. I reached out to Julian Lam from nodebb, and he told me that he expects the upgrade for the board won’t take him too long, and that the cost should be $150. I’ve added that cost in, as I’ve wanted to upgrade the board for a long time, but was unable to do so myself due to errors I was hitting in the upgrade path. Please only contribute what you can and feel inclined to do! No pressure here. Thanks for a great year on the board. I’ve really enjoyed all your company through another season of KU basketball. A "Clear Conscience" is usually the sign of a "Bad Memory"!! I used to think I was INDECISIVE, … but, Now "I'm NOT TOO SURE" ! @approxinfinity Can you send a mass email to all users for this? You should. Nobody should expect you to cover the costs. And it would be nice to see just how many years we can get out of one go fundme page if everyone just put in $20. Does gofundme take a cut? Ok I was thinking they had to. I’d rather just send @approxinfinity gifted paypal in that case. Oh well sh–. This is my first funding rodeo. So you guys prefer I shut this down and go the PayPal route? I think it’s fine to have this up. It offers some level of protection for people that want that. You decide. I will add my 2 cents however you want it! Oh, wait–multiply by 10. I mean 100. Wow, let’s go for x1000, Johnny! I’d kick in another $20 for a user block button! @dylans how 'bout an eject button? @Crimsonorblue22 How about a drone control stick with a Hellfire missile button? I tried to donate 1,000,000 but it wouldn’t let me. Oh well, I guess I’ll kick in a few bucks. Thanks Mr. Approxinfinity! @mayjay Either way works great man! Whatever is easier for you. @approxinfinity Already did. Hey, everybody, ante up! I challenge everbody to donate at least $10. I did $20 because I am a heavy user and love the site. So, for every donation of $20 or more in the next 72 hours (until 10:30 pm Eastern Daylight Time on Monday night, April 3) I will donate an additional dollar! Give $20 or more and make me pay! @mayjay Hmmm, I see what you did. You challenged everybody to donate at least $10, but then you changed the challenge to $20. You SC fans are sneaky. And you might want to add something about only one challenge per board rat. And does that go for either the gofundme or paypal? @brooksmd It wasn’t a switch. I challenged everybody to donate at least $10 because that seems like a fair amount. If people can double that amount, I want to give them an extra incentive to do so by adding the dollar kicker. And if anyone wants to donate $60, or $20 three times, my extra will be $3 either way. $1 extra dollar per $20 increment by anyone. $500? I add $25… Feel free! On which one, I don’t know how to tell on paypal. Gofundme shows totals and amounts of each if people don’t give privately. It was $110 or so on 4 donations when I did it. Let’s make him pay board rats!!! @mayjay Maybe @approxinfinity could give you info on the paypal route. BTW, hope you took my “sneaky” post as just messin’ wit ya. Had alot of good friends when we lived in SC. @brooksmd All in good fun! Remember, I told my wife when we were looking for places to retire that we would only go to SC over my dead body. 6 months later, we were here after moving here because her sister did. Fortunately, the lovely wifey didn’t hold me to it. @mayjay When my wife said she wanted to move back home to Louisiana I didn’t make any stipulations. I just said “yes dear.” I always dreamed of Northern Colorado, Montana or Idaho as my final place on earth. I generally don’t look in this discussion thread. I bet a lot of folks do not either. I just happened up on it. What is the total amount you are trying to get to @approxinfinity ? $150? @Blown good point. OK, I moved it to basketball news. Several people have expressed the same thing so even though it’s not basketball news, I guess it makes sense to move it there. I’m aiming for a years cost plus the cost to upgrade to latest version of the board. Check out the go fund me campaign for the details. @approxinfinity cool. Done. That should be a very attainable goal. @approxinfinity Thanks for all that you do so we can share our love for KU basketball! Getting close to the goal. @approxinfinity have you received any paypal payments? I’m happy to see people willing to carry their weight. Unfortunately that’s not as common as it should be. It’s great to be surrounded by good people! @dylans Yeah!! This is fantastic! Thanks so much to all that pledged so far! I’m blown away by your generosity and this is proof that this board is truly all of ours. We all make it great! I’ve received $20 in paypal thus far . Any additional amounts over our goal that I collect on paypal I’ll save for additional months of the board and state on here where we end up. = It’s been so long since I’ve used paypal I don’t remember my password. To reset my password I need my cell phone to receive a text. My cell phone died this week and my old cell phone’s SIM card is dead. Heading to Verizon store in a moment to get the old SIM fixed. When modern cyber security goes wrong it feels like that “I know an old lady who swallowed a fly” song! Long story short, I only saw one email for paypal donation; so I believe we’re at $20 at the moment, but will log in and verify shortly. Sounds great! Anyone who pays on paypal might leave a message here in case they have the wrong address. I’ve done that and the money just sits in limbo until the sender takes it back. I told my wife I’m on an ad free website (don’t get any ideas!) that I visit about 367 days a year so I should probably kick in our Friday date night money. The couch worked fine for my sleep so don’t worry. @wissox NOT TELLING MY WIFE! I LIKE MY BED. Thanks to all involved for the great board. @wissox DUDE! Hope you got a comfy couch! The couch worked fine for my sleep so don’t worry. See, that’s why Kentucky fans burn their couches: they don’t get punished for using their date night funds to help pay for a great BB board like this because they ain’t got one. Plus, they sleep in barns when they get lucky on date night anyway so they don’t need sofas. Wow! We made it already! Thanks so much everyone! You guys crushed it. I will reach out to Julian and let him know we want to move forward with the upgrade and will keep you guys looped in on when that will be and can’t wait to try out the new features once that’s done. Exciting! Wow. I verified I got $20 bucks on paypal (thanks @BShark !) so thats $560 total now. Didn’t just meet the goal of $450, we smashed it, so assuming all goes well with migration that should be 5 extra months of server cost. That makes it easy to just run the board I love without worrying about cost, and keeping it ad-free and up-to-date! So sweet. @approxinfinity Okay, the mayjay challenge is over since we have reached the goal early. On the gofundme site there are a number of high level contributors, and the total was $540, about 430 more than when I issued the challenge last night. So, we will round up my “punishment” to another $25. This, plus the paypal of $20 he said he received should give @approxinfinity at least $585 to work with. Good job, everyone. @approxinfinity, great idea! @mayjay lol. you the man! Thanks for doing that! @approxinfinity I’m happy to see that you ACHIEVED YOUR MONEY GOAL! It goes without saying … There is a GREAT GROUP here posting and willing to chip in when needed. I believe I was perhaps the first to donate to the cause and I certainly can do more in the future. You don’t have to wait a year to ask for more $.$$'s. If you need some money during the year to fix and/or improve the product … PLEASE ask again and I believe we … (ALL of us) would be willing to help again, and again, and again. I feel BLESSED to be a member of this FORUM and enjoy it each and every day. Reading this site is one of my daily activities that I enjoy during my retirement years. And lastly, "THANKS to all my KU Buckets FRIENDS. @Red.Rooster would you update us on your wife? I’ve been wondering how you guys have been doing. Only if you feel like it. Guys, I am too old and wary to engage in online listing of credit card info. That said, I do have a PayPal account, but have no idea how to go about contributing via that route. Would much prefer to mail a $25.00 check, but am aware that gets into the revelation of approxfinity’s private security. So…any suggestions? If so, please outline in detail. As I said, I am old, old, old. This is a terrific site which I call up daily. I hope it is maintained until I kick. @REHawk you are not that old! @Crimsonorblue22 Yeah? Well, I can yet clip my own toenails. But barely! @Crimsonorblue22 Anyway, aren’t you still a youngish woman? You should be able to help me figure out this donation route. But then, if you are older than eleven, maybe not!